If you’ve decided that now is the time to buy a new car for yourself, your family, or your newly licensed teen driver, you will want to go about it the right way. When you are ready to begin the search for a new car you need to whittle the search down to the make and model before you can truly get down to business. 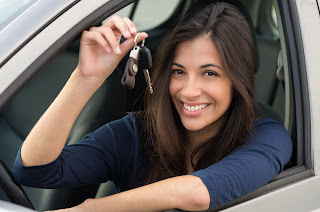 Are you buying the car for yourself? Is it for your teen driver? Is it for the whole family? The size of the car you buy all depends on who will be driving the car regularly. Car dealerships in NJ have a host of different vehicles that seat a range of people from two to seven. Once you figure out the required size you will be able to move forward. Any vehicle you look at should have impressive safety features, even if the car is only for you. Safety should always be paramount when buying a new vehicle. It’s important for not only you, but everyone else on the road around you. Take a long look at the safety features in each vehicle that piques your interest and compare them tirelessly. Towing and cargo are important aspects of any vehicle, especially if you are looking at a new truck or SUV and you love adventure. You will want to be able to tow your boat, waverunners, trailer or ATV on your next road trip with your new vehicle. Don’t forget to give yourself a budget for your new car purchase. Sit down with your spouse and look over your finances and what you can afford. If you are trading in a vehicle to put towards the purchase of a new one, make sure you factor this value into your budget. Try not to go over your budget when buying the car so you don’t put yourself in a poor financial situation. Visit Autoland in Springfield, NJ today to take a test drive in the car of your dreams.